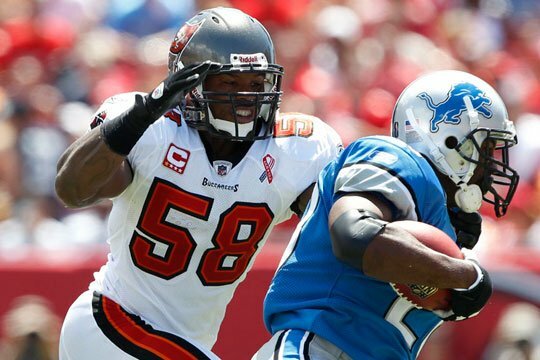 15 different Buccaneer linebackers have worn this number during the history of the franchise and although there have three pretty reasonable players to have owned it, we have given the best-ever No.58 to a player who only wore it for two seasons. 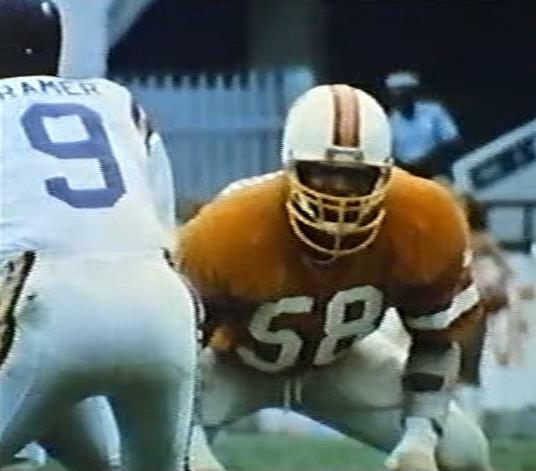 Dewey Selmon may be better known as Lee Roy's older brother, but he played five solid seasons for the Buccaneers, first as a down lineman (where he wore 61) and then switching to inside linebacker for the title run in 1979. 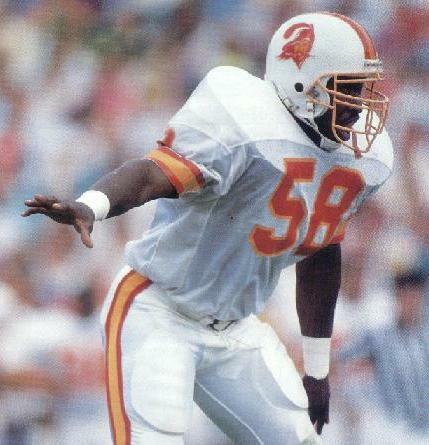 Jeff Davis inside and Winston Moss outside, wore this jersey with distinction during some of the worst years of the franchise and posted nice numbers without ever really dominating, whilst the majority of the 58 brigade are one-year players and really only special teamers at best. Pete Najarian also wore 57 and was a special teamer who came to prominence during the '87 strike games for the Vikings and also went on to play in the 1992 World Bowl. 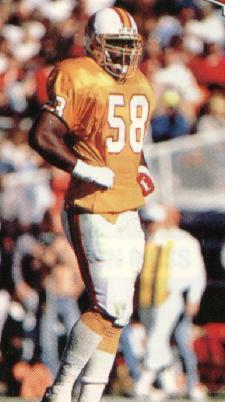 He was also a memorable guest at a Clearwater Bucs Bunch event. But the first person to wear it, Calvin Peterson, ended his career in sad circumstances. Having missed four games with a knee injury, he limped on to the field in Denver and promptly made an interception. But his knee gave way again during the return and he fell to the ground untouched, never again to wear the Buccaneer colours. Marquis Cooper sadly died in a boating accident off the Clearwater coast after leaving football and Quincy Black's promising career ended with an injury following a tackle against the San Diego Chargers. 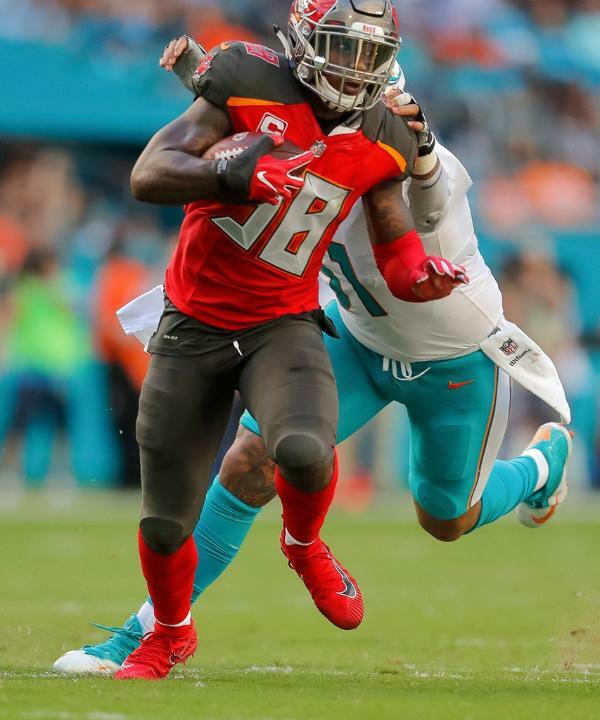 Kwon Alexander currently owns the jersey and should he remain a Buccaneer through free agency and post another year to the ones he has had so far in Tampa and we could have a new owner of the best-ever 58 award.